Gifts from the Pirates: "By the Mystic Moons of Munnopor!" Us LEGO geeks and Minifigure collectors all around the world have our favourite theme of those amazing bricks and although I adore all LEGO, for me, the theme that really gets me excited is LEGO Marvel Super Heroes. As a child, reading comics was a big thing for me and the Marvel Super Heroes gave me a way to escape into an exciting world where anything is possible. These days I don't seem to have much time to catch up on the comics I love but LEGO are definitely keeping this Super Hero fire burning strong. When the early Spider-man sets were released it was so exciting, I never thought for a second though that we would get to see Guardians of the galaxy immortalised in LEGO (which was a comic run that I loved) or that there would be a Thanos figure as well as characters like Hyperion and Giant man. 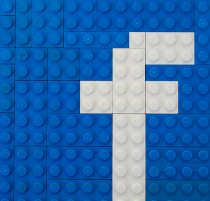 LEGO has come a long way over the last few years and for enormous fans of the brick like me, it is a very exciting time for custom building. The huge rise in Super Hero movies has obviously been the reason for this great new collection of LEGO hitting the shelves and I am constantly keeping my eyes open for anything online that will give me a clue to what may be released next. I'm still hoping for a comic style Baron Zemo figure as he is one of my favourite all time villains from the comics and I would love to see a Thunderbolts team LEGO kit (My favourite run of Marvel comics). 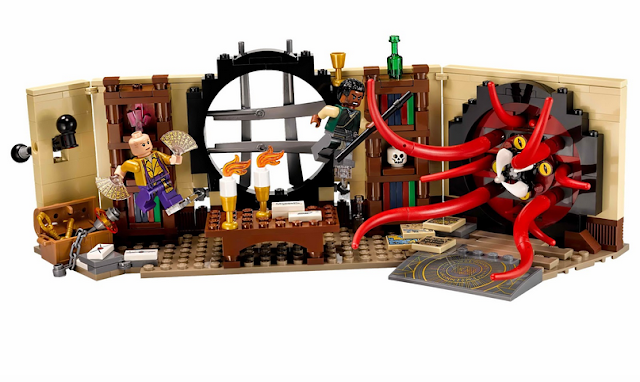 The most recent of LEGO's awesome Marvel Super Heroes kits hitting the shelves is to coincide with the release of tMarvel's new movie Doctor Strange. I knew very little about Doctor Strange as he rarely popped up in the comics I read growing up so I've been reading up on him before going to see the movie. The LEGO kit is different from any of the other kits released due to the attributes of his character. There's no trucks with rocket launchers or futuristic looking planes. The kit focus' on the inner madness of the Sanctum Sanctorum, Doctor Strange's house that is protected by enchantments and illusions. I love the detail in this kit and it works perfect as a display piece as well as having great playability. Building the kit had us wishing we still had Ironman's Malibu house built. Everything about this build is really thought out and for a lower to mid price range kit I think you really get a great kit for your money. Doctor Strange, Mordo and the ancient one are great figures and look awesome displayed on the side of our arcade with the rest of our Marvel Super Hero collection. Doctor Strange's sanctum Sanctorum is a must have kit and has jumped the list to my second favourite kit of 2016. Nothing is beating that LEGO city fun in the park kit. Up next the web warriors ultimate bridge battle set which We have been eager to build, so watch this space.